The Centre on the Death Penalty at National Law University, Delhi announces the release of the ‘Death Penalty India Report’ on 6th May 2016. Based on interviews with all prisoners on death row and their families carried on from June 2013 to January 2015, the Report documents the socio-economic profile of prisoners sentenced to death in India and provides an in-depth understanding of their interaction with the criminal justice system. The release of the ‘Death Penalty India Report’ shall be at the Nehru Memorial Museum and Library (Teen Murti Bhavan Auditorium) on 6th May 2016 at 5.30 pm. Welcome Address would be by Professor (Dr.) Ranbir Singh, Vice Chancellor, National Law University, Delhi followed by the presentation of the Report by the Centre itself. There shall be a Panel Discussion amongst Hon’ble Mr. Justice Madan B. Lokur, Judge, Supreme Court of India; Ms. Nitya Ramakrishnan, Advocate, Supreme Court of India and Dr. Anup Surendranath, Director, Centre on the Death Penalty. The whole event shall be moderated by Mr. Omair Ahmad, Books Editor, The Wire and concluded by Remarks from Professor (Dr.) GS Bajpai, Registrar, National Law University, Delhi. 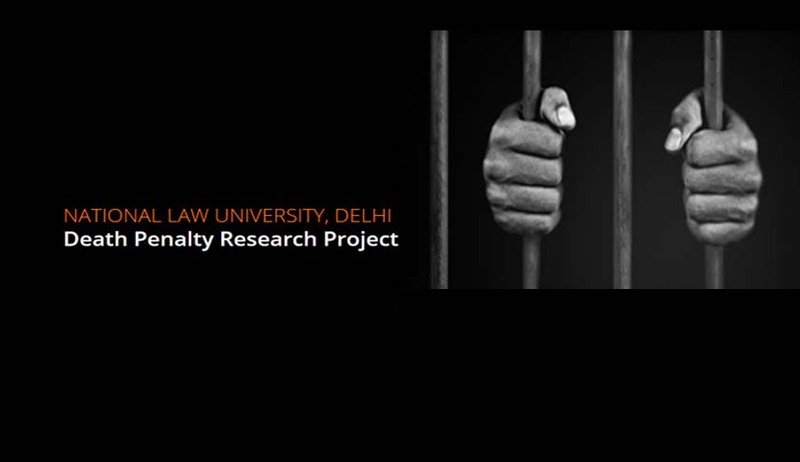 The Death Penalty Research Project has been carried out by National Law University, Delhi in collaboration with the National Legal Services Authority (NALSA), and was approved by Honourable Justice Sathasivam in his capacity as the Executive Chairman of NALSA.